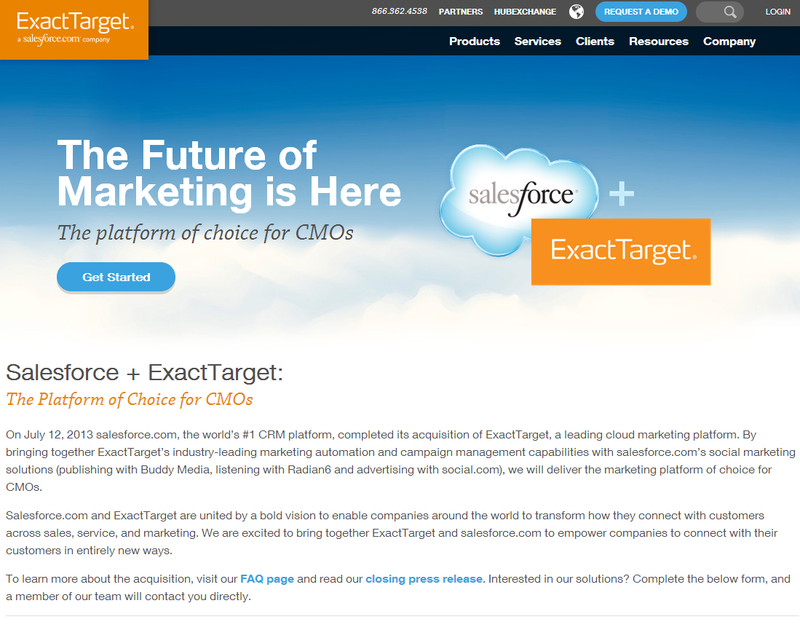 As you must have heard by now, Salesforce has acquired ExactTarget for $2.5 Billion. Through this acquisition, Salesforce now has a full suite of offerings relevant for CMOs, especially for the SMB market. and of course Salesforce CRM! The suite together is a formidable competition to Marketo since a large percentage of Marketo’s customers use Salesforce. This is very relevant since the Marketing Automation system and CRM systems have to talk to each other so that there is Sales and Marketing alignment on revenue, demand creation and lead generation goals. And at a tactical level, it boils down to sales being able to see the prospect’s engagement touch points and marketing in turn taking feedback from sales to run marketing campaigns for different prospect segments. 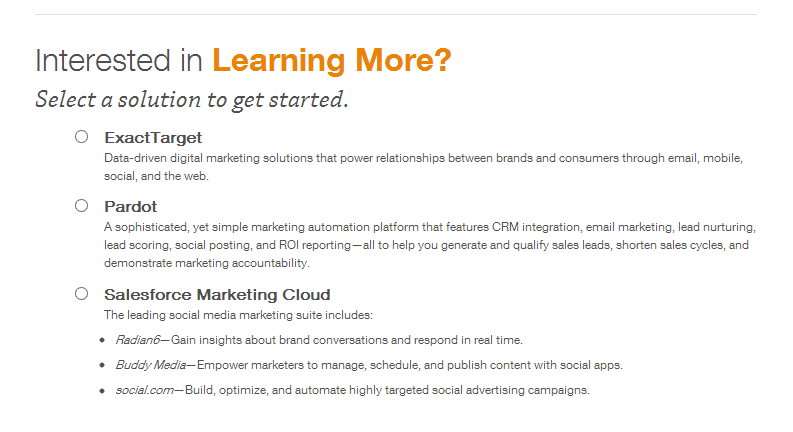 Salesforce is going full-on with its pitch to CMOs. This page below was launched the day of the ExactTarget acquisition.